Welcome back to the mini-series focusing on the technical players at Córdoba! This is part 2...you can read yesterday's piece - part 1 - here. Wow, two days in a row - that's a first! 24th August, 2014. It was Eibar's first ever goal in La Liga, in their first ever game in La Liga, their first La Liga Basque derby....their first of many. And it was a hell of a goal. In their own stadium, a player who was making his La Liga debut scored a free-kick from the tightest possible angle, just a few meters from the corner flag, just before half-time. The perfect kick of the ball to kick-start Eibar's dream season. The celebration by the 28-year-old said it all - not just the goal he had scored, but the struggle of being in that moment, in that stadium, in the top tier, in football at all, scoring a goal against a Europa league team. Exactly, four years before that goal, Javi Lara was without a team, having been released from yet another Segunda B side. By then, he had graduated from local Córdoba CF's youth setup, made his senior debuts with the reserves in the 2003-04 season in the Tercera, been relegated to the fifth tier and came back to the fourth tier in 2005, had three loan stints, each of six months, in the Segunda B with Villanueva (January 2006), Real Unión (June 2006) and Écija Balompié (January 2007), moved to another reserve team in the Tercera, Almería B, in August 2007, played there for a season, joined Alcalá in the Tercera in the summer of 2008, won promotion with them in the summer of 2009 and signed for Segunda side Elche, made his professional debut, and gone back to the Segunda B in just six months on loan to Alcoyano. For six months, being without a side, the only logical step was down. 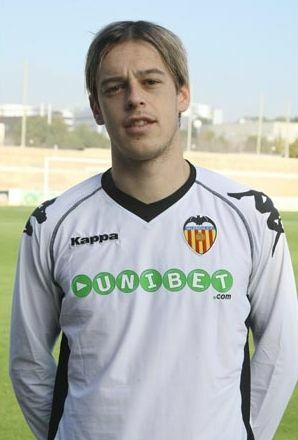 In January 2011, he signed for Tercera side Valencia B, playing there for six months. But even when in the summer of 2011, when he signed for Segunda B side Lucena, everyone thought that the once-Segunda player would remain a once-Segunda player. A season at Lucena, where he scored five league goals was just the start. It preceded a breakout season at Alcoyano, where he thrived in their characteristic attacking style of football. His nine league goals (12* if you count the Copa del Rey) earned him another Segunda opportunity, this time at Ponferradina. And while the echoes of a failed season would haunt many, Javi Lara's 2013-14 season could not have been better, being an undisputed starter and a vital part of a team that avoided relegation. The move to Eibar came too quickly, some said - and then Javi Lara banged in that free-kick in his first ever La Liga game. He, and the Ipurua, went wild that day. For the first time, Javi Lara's career was in Javi Lara's hands. Since that 2014-15 season in La Liga he has played for Atlético** - the one in Kolkata, India - for six months, come back to Tenerife for the second half of the 2015-16 Segunda season, played for Atlético Kolkata again and come back to Spain in January 2017 to the club from where he was born, the club that initially didn't give a chance - Córdoba. He has remained there ever since. And for good reason - he has excelled in the Segunda, a league he never dreamed of reaching. So much so that fans saw his contract extension this summer as a signing. "Javi Lara’s dead-ball accuracy and skills on the ball have given the team an extra dimension in midfield...The one player I would like Córdoba to sign next season would actually be a player currently in our squad. Javi Lara, a local lad from Montoro, only has a contract until June, and I believe an extension to this is vital. Technically gifted and tactically astute, he has a real footballing brain and is always sure of exactly how to play in a variety of systems and formations." I couldn't have said it better myself 😉. *One of those three was this amazing free-kick...against Real Madrid. **He was one of two Eibar players to sign for the Indian club in the summer of 2015. The other was Borja Fernández.